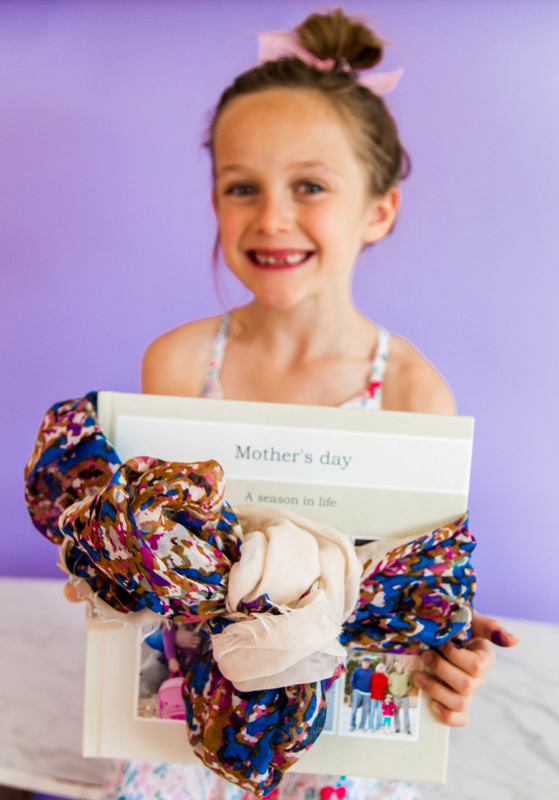 When it comes to giving Mother’s Day gifts, sentimentality wins every day! As a mom, there is nothing I’d want more than a sweet (toothless) smile from my girl with a book of beloved family photos inside. 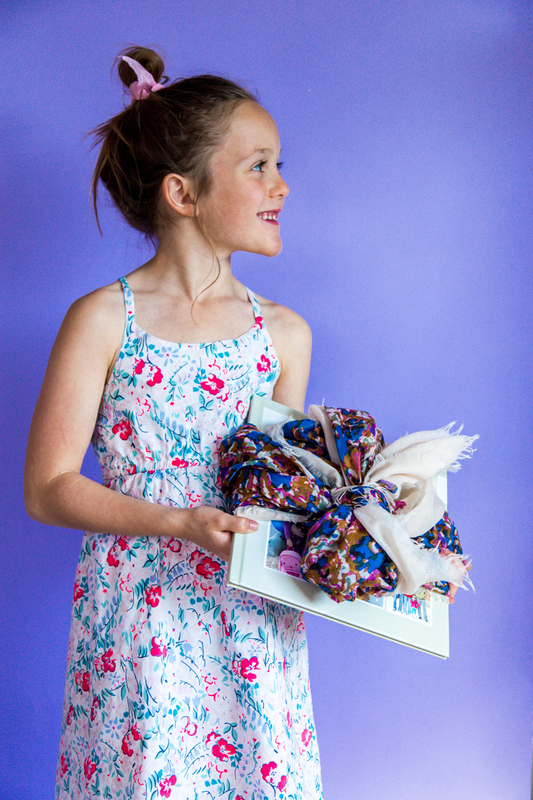 When it’s wrapped up in a gorgeous scarf she picked out herself, well that sounds like the perfect way to celebrate this very special day. A personal gift like this is always better than a knickknack picked up from the store shelf. The only issue is that photo books can take SO much time to make. Someone else took my unorganized photo files and designed this special book for me. 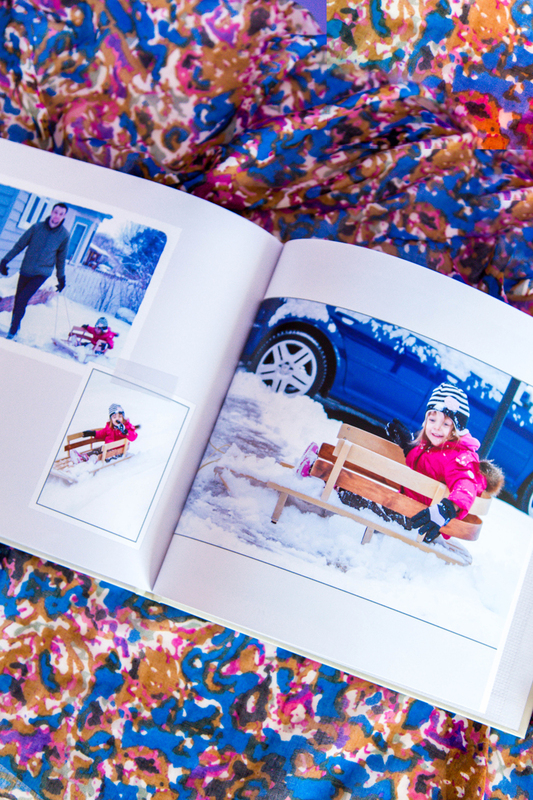 Through the Make My Book Service, Shutterfly will do all the time consuming work for us! 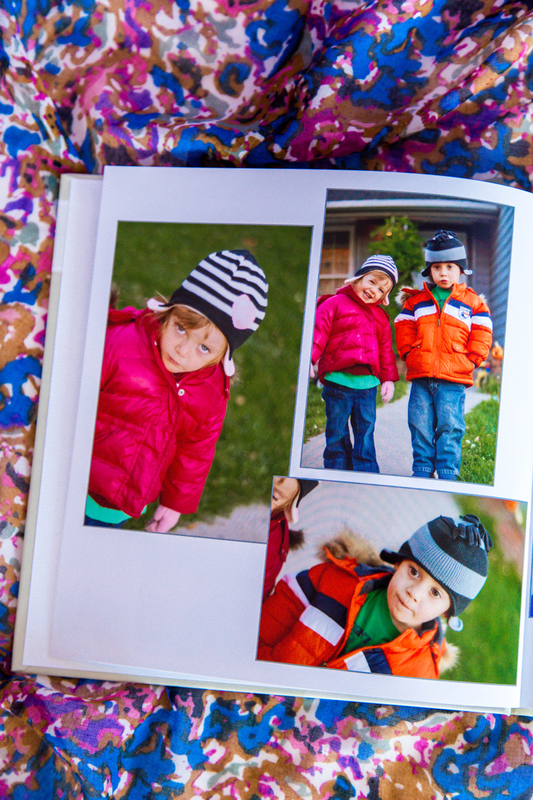 It’s so easy to create a beautiful and thoughtful photo book. It’s great. Taking my digital photos and turning them into a gift for Mother’s Day, now that is every momma’s dream service. Filling the pages with pretty photos from a specific season of life can be a special treasure. We filled a book with photos from a rough season when we had just moved away from family. Seeing all the photos of our first year here in Reno with family visiting and new friendships being made gave a rose colored tint to my memories. Photos have a way of doing that sometimes. 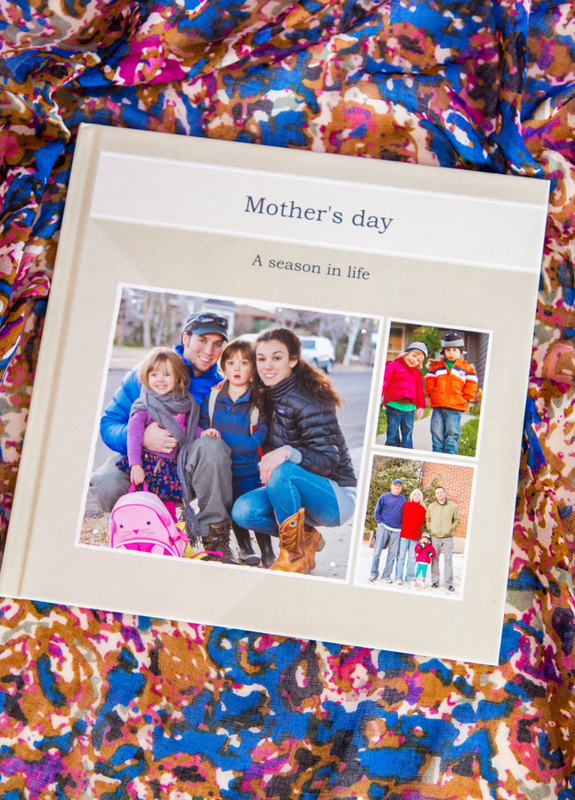 Whether the season is joyous or hard, commemorating it into a photo book is a great gift of love. 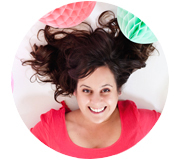 The snapshots they picked showcased our season perfectly and I didn’t have any pesky repeats, which I always seem to get when designing my own books. From sad faces to happy laughs… that season in life was sure overwhelming. Seeing all the beauty that was there through these pictures is Mother’s Day present that will be treasured. 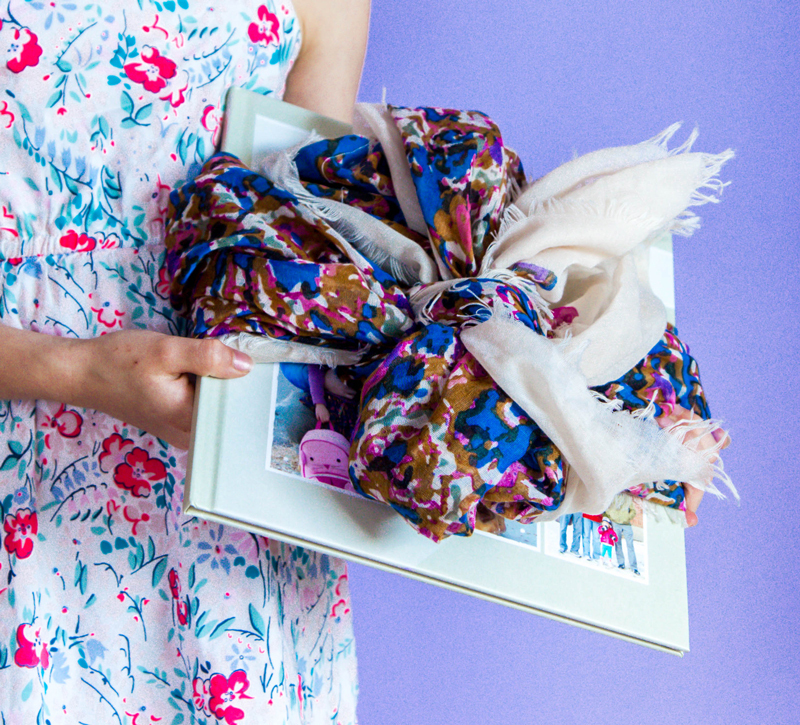 What type of personal gift will you give mom this year? Photo books are always a favorite of mine. You can get yours done the easy way right here. This post is sponsored by Shutterfly. Make this Mother’s Day with a personalized gift that says it all. You’re very brave to let someone else pick the photos – I’d be afraid that they would pick the ‘cute’ shots and skip over the ones that have special meaning to me. The blue dress that looks like it is slipping off her shoulders doesn’t tell a stranger that it was a gift made by my now-deceased aunt for a birthday and that my daughter wore until she couldn’t get it on any more. They wouldn’t know that the shots in park ‘A’, which isn’t a very pretty place, were taken on a visit with friends who live on the other side of the country while the park ‘B’ pictures, with the fancy play structures and splash pad, were in a random place we stopped at on the way to the grocery store one day. Do they do anything to organize the shots that don’t make it into the book? Linda, I totally get it. Sometimes picking the photos is super important. Having them decide is only an option to save time – you can also choose to pick them yourself and they’ll just design the book (layouts and such) for you. Hope that helps! The photo books are my favorite. My family always loves having them to look at when they visit. I haven’t tried the “Make My Book” service yet. I love the process of putting all my pictures and thoughts in. The service has tempted me since it started though. I always realize I have a coupon about 10 hours before it expires! I’m glad to see such a nice book put together with the service. Maybe I’ll try it next time I’m in a time pinch! Thanks for this post!